We have tried to accurately distinguish more ethically preferable companies based on a simple screening process using existing assessment information. 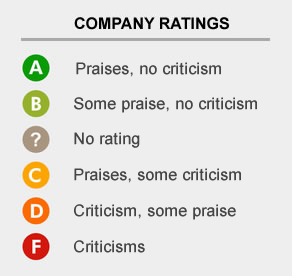 The overall rating for each company incorporates the rating for each company up the ownership tree, including parent companies. Assessment covers the areas of environmental and social impact, treatment of animals and accountable business practice. See full methodology at Ratings & Assessment.